GMO Advocate Says Weedkiller is Safe to Drink...Not! 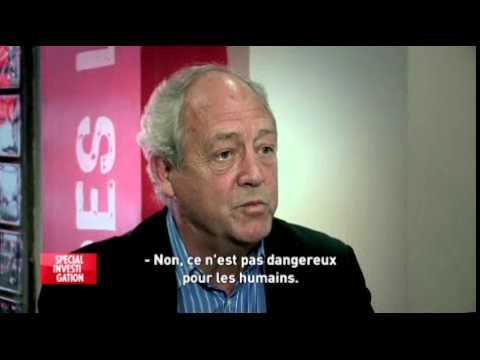 GMO Advocate Says Weedkiller is Safe to Drink…Watch What Happens When He’s Offered a Glass! 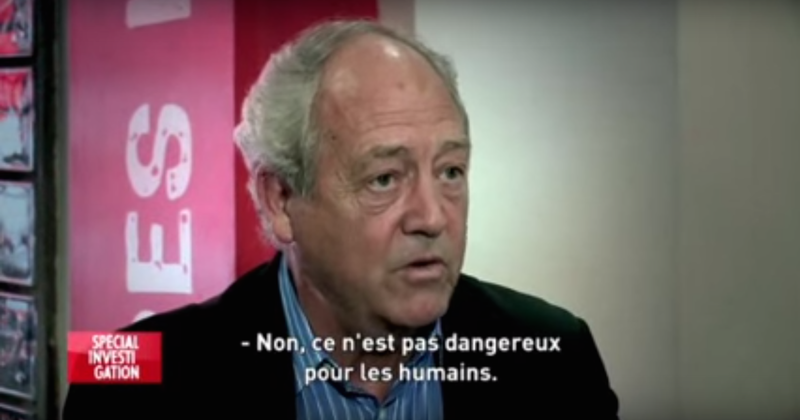 Former Greenpeace president and current advocate of GMOs Patrick Moore made a scene on French television, when a reporter asked him to drink a glass of the chemical compound glyphosate, the active ingredient in Monsanto’s chemical roundup. “You can drink a whole quart of it and it won’t hurt you,” the GMO advocate claimed of glyphosate, stating that many people who attempt suicide by drinking glyphosate ultimately fail. However, when the host of the French news channel Canal+ offered him a glass of the chemical, he visibly balked. “I’m not stupid,” he said repeatedly. The interview ended with Moore demanding that the reporter interview him about golden rice. “I did,” the reporter replied, to which Moore stormed off the set, calling the reporter a “jerk”. Glyphosate, which is used as a weed killer in the production of genetically modified food by the company Monsanto, is currently under investigation by the World Health Organization to determine if more regulation is needed, particularly in countries such as Argentina, where many people claim that glyphosate is causing increased rates of cancer among residents – a claim that is backed up by recent statements from the World Health Organization, which believes the chemical to be a probable human carcinogen. The issue is just part of the complex controversy surrounding the production and consumption of genetically modified foods – the environmental impact, global and community health impacts, and ultimate safety of which are under heavy scrutiny in the public eye. Many consumers have been pushing recently for genetically modified foods to be labelled in supermarkets so that they can opt to not participate in the consumption of these controversial foods. Patrick Moore has come under criticism himself recently, specifically from the organization that he used to represent, Greenpeace. In a statement from 2008, Greenpeace claimed that Moore often misrepresents himself as an environmentalist while offering anti-environmental views on a wide range of issues. “He also exploits long-gone ties with Greenpeace to sell himself as a speaker and pro-corporate spokesperson, usually taking positions that Greenpeace opposes,” the organization said of Moore. Moore makes his living as an environmental consultant to many companies who Greenpeace has previously exposed for environmental misdeeds, including Monsanto. He is a noted global warming sceptic in addition to being a GMO advocate, claiming to have “seen the light” since his Greenpeace days. Latest Headlines » Wellness » GMO Advocate Says Weedkiller is Safe to Drink…Watch What Happens When He’s Offered a Glass!